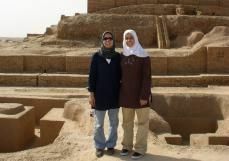 FTF's annual teen travel writing scholarship reveals what teens are feeling about their vacations when they involve a return to their parents' home country. Although genealogy may be your hobby and a trip to the motherland may sound wonderful to parents, a teen may not have the same attitude. Discovering where the roots of the family tree lie is an important experience for everyone. But will your teen appreciate the knowledge gained from these trips into the past? In fact, some teens relish the opportunity to learn about the lives of their ancestors and appreciate the sense of belonging they get from a firsthand experience of the culture(s) from whence they came. Others, however, may not feel the same. Read the five stories below to see what teens learned from discovering their past and, in some cases, how it has changed their future.